New study shows how gun suicides plummeted in Connecticut after stricter gun laws, skyrocketed in Missouri after looser ones. A customer shops for a pistol at Freddie Bear Sports in Tinley Park, Illinois, on Dec. 17, 2012. More stringent gun laws can save lives, while less stringent ones can lead to more deaths. That is the implication of a new study by researchers at Johns Hopkins, who found that gun suicides plummeted after a law in Connecticut requiring background checks for handgun purchases was passed. Gun suicides in Missouri, meanwhile, spiked after a similar law was repealed there. Researchers were careful to point out they couldn’t prove a clear causal relationship, noting that overall suicide rates in Connecticut went down at the same time that gun suicides did. In Missouri, though, there was no significant change in suicide by means other than guns after the state’s repeal of its handgun licensing law. “Although these laws were not designed to reduce suicides, many of the risk factors that disqualify someone from legal gun ownership—domestic violence, history of committing violent crimes, substance abuse, severe mental illness and adolescence—are also risk factors for suicide,” said lead study author Cassandra Crifasi. The study confirms similar findings by researchers at George Mason University that more guns result in more suicide, but it was the first to study whether policy changes actually impacted suicide risk over time. 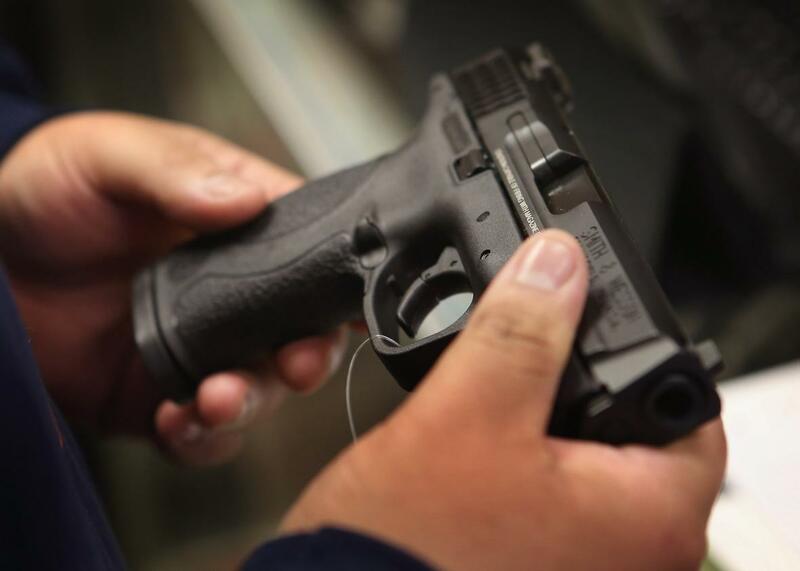 Johns Hopkins’ Center for Gun Policy and Research had previously found a 40 percent decrease in gun homicide rates after the Connecticut law was passed, and a 25 percent increase in Missouri rates after the repeal. Data from the CDC and an analysis by Slate showed that gun suicides were a large—and largely ignored—portion of the overall issue of gun violence in the United States, with about 2 out of 3 gun deaths coming from suicides.